. Published on Thursday, July 5, 2018 . Broncos dressed in their best attire flocked to the Bronco Student Center, Ursa Major (BSC, Bldg. 35-2611) for the Associated Students Inc.(ASI) year-end celebration, The Enchanted Gala on Friday, May 25. Beautiful roses, carnations, string lights and balloons adorned the event. 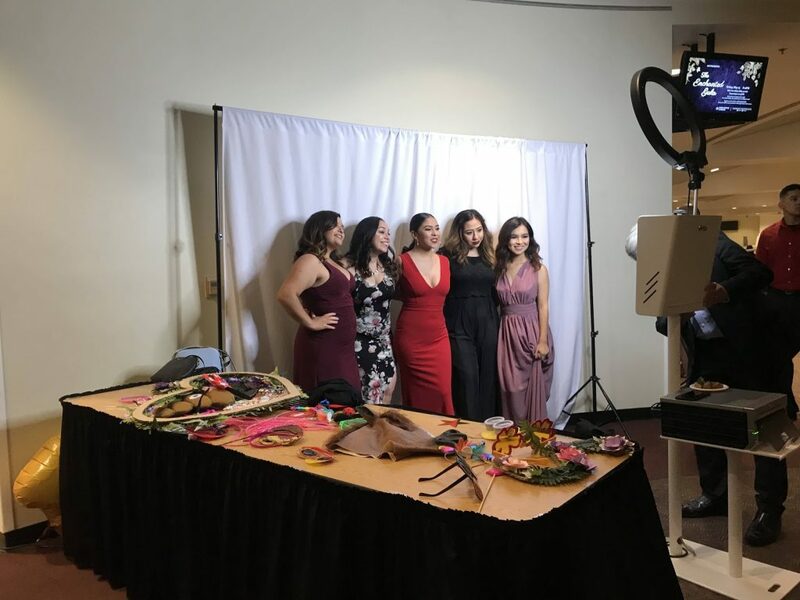 Aside from dancing, Cal Poly Pomona students also took advantage of the unique activities offered at the gala, such as taking photos at the photo booth, being drawn by a caricature artist and visualizing their energy reflections from an aura reader. Want to stay up-to-date with events like The Enchanted Gala? Get the inside scoop by following the BSC (Bldg. 35) on Facebook and Twitter.